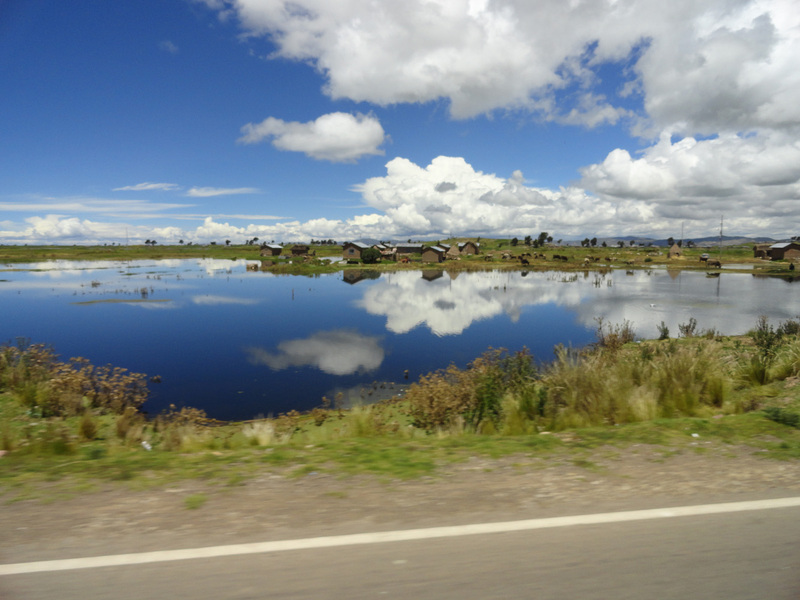 On the route from Juliaca to the Capachica Penninsula, which is on the north side of the Bay of Puno, we saw serious flooding from the heavy rains this year. 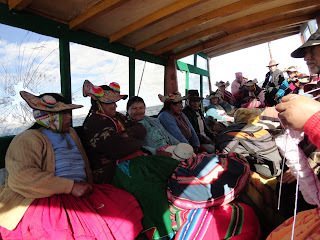 We visited Asunta, who is the elder sister of our oldest god daughter, Noemi. 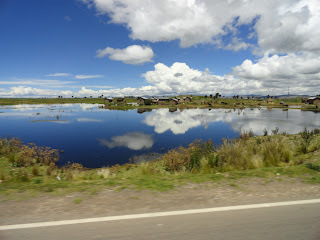 Asunta is married to a man who grew up in Lacho`n (accent on the last syllable, I can't seem to make it right, so will probably skip the accent from now on). 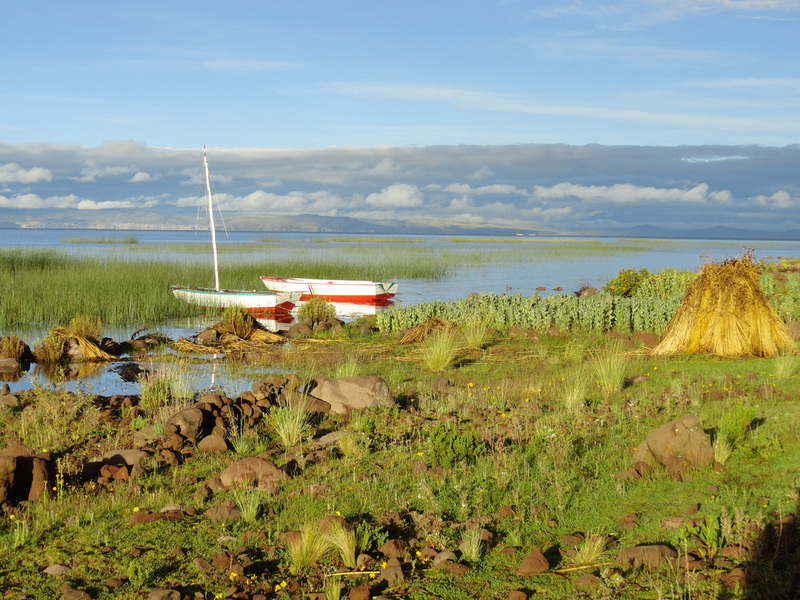 They have three children, Kusi Quollur, age 13, named for the planet Venus and an Incan Princess, Sarita, about 10, and little Yhoel, just starting kindergarten. Sam took a sweet picture of the three children on his iPod that you can see on Facebook. 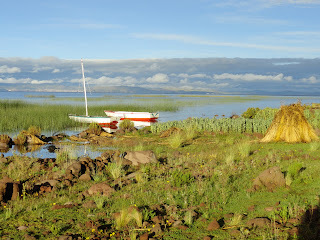 Lachon is within the Bay of Puno, so reeds are abundant. Don't you love those hats? They are called monteros﻿ and I am having a terrible time trying to describe them in words.